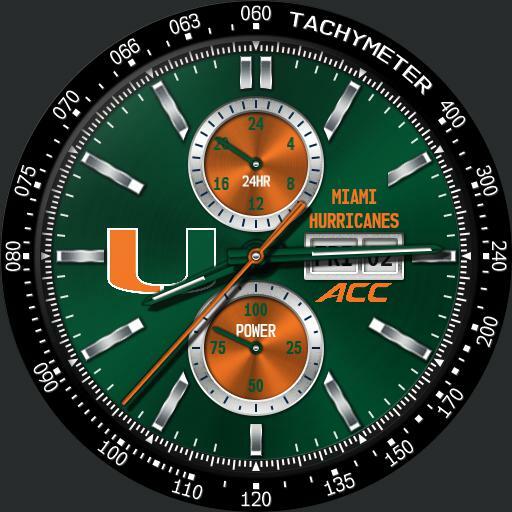 Miami Hurricanes is Based on one of Sean Grondins modular race watches, this one is customized for fans of The Miami Hurricanes. Tap the center to experience 3 levels of zoom. Tap the top of the bezel to rotate it to the minute hand and back.